Two UO geography graduate students, Olivia Molden and María Belén Noroña, have been awarded Fulbright-Hays Doctoral Dissertation Research Abroad grants. Noroña and Molden are both doctoral students in the UO Department of Geography. Noroña plans to travel to Ecuador to research the effects of oil development on indigenous people; Molden will go to Nepal to study water security in Kathmandu. Both students will begin their research abroad this fall. The highly competitive Fulbright program provides federal grants to colleges and universities to help individual doctoral students travel abroad for six-12 months to research modern foreign languages and area studies. Molden comes from a globe-trotting background, having lived with her family in Egypt, India, Nepal and Sri Lanka. She did most of her schooling in Colombo, the capital of Sri Lanka, where she lived with her family for 15 years. Molden earned her bachelor’s degree in 2012 from Whitman College, where she majored in sociology and environmental studies. Her former undergraduate advisors are now UO faculty, professors Jesse Abrams and Kari Norgaard. After a two-year break, Molden started her master’s program in geography at the UO, working with professor Katie Meehan. 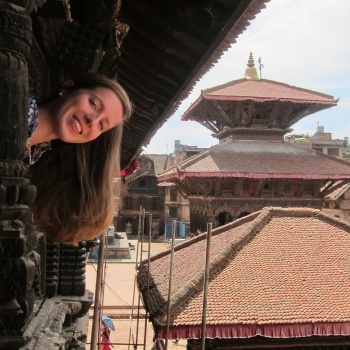 Her research abroad will expand on her master’s research and investigate the cultural dimensions of domestic water security in Kathmandu following the 2015 earthquake. 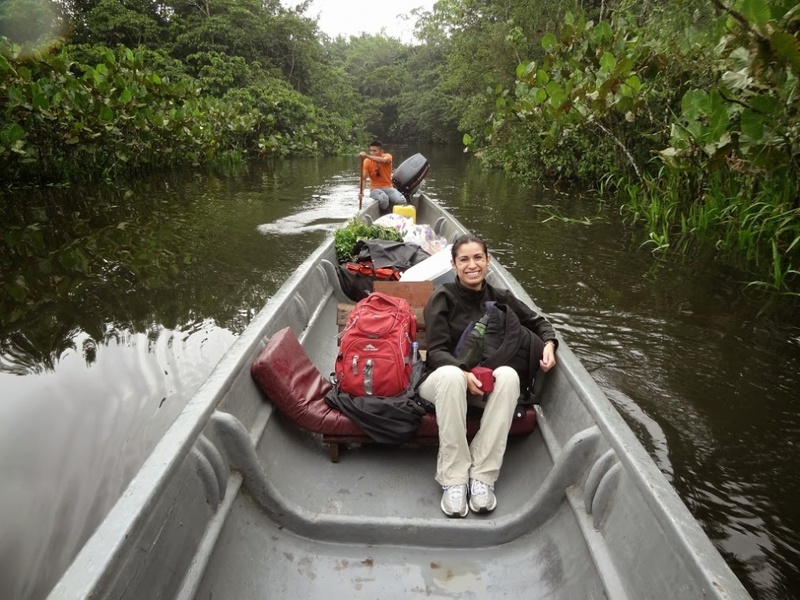 In comparison, Noroña’s research will take her back to her native Ecuador and deep into the jungles of the Amazon rainforest. Noroña earned her bachelor’s in tourism business in Quito, Ecuador. She obtained a master’s degree in Latin American studies with a concentration in rural development at the University of Texas at Austin. In the following years, Noroña returned to Ecuador and Peru to work on development projects in rural areas. Most were aimed at improving basic infrastructure for indigenous people and small farmers, as well as empowering rural communities through education. As a doctoral candidate at the UO, she hopes to return to her homeland and analyze how the expansion of oil-related infrastructure and modernization projects in the Ecuadorian Amazon rainforest have affected indigenous Quichua people’s basic ways of survival. In collaboration with the Pachaysana Institute, a nongovernmental organization in Ecuador, Noroña will develop a curriculum and series of interactive workshops designed to share research results with local indigenous organizations. The curriculum will also be shared with key stakeholders in UO’s Department of Geography and Center for Latino/a and Latin American Studies. Plans are being made to film a documentary of the research and experiences in Ecuador, but Noroña has not yet secured funding for the project. Noroña plans to publish her work and share her research results at the Conference of American Geographers and in the Latin American Studies Association Conference.